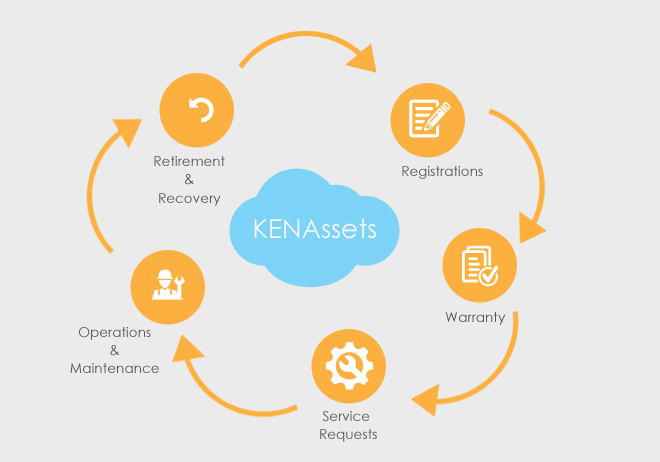 KENAssets™ provides your business a plethora of solutions, related to monitoring and maintaining assets of value to an entity or group - be it tangible or intangible assets. It is a cloud based system which helps in tracking, lifecycle management, reporting and alerting of assets to any organization. It adds control over all assets of an enterprise, making it less expensive and more secured, thereby helping an organization realize value from those by minimizing their life cost. 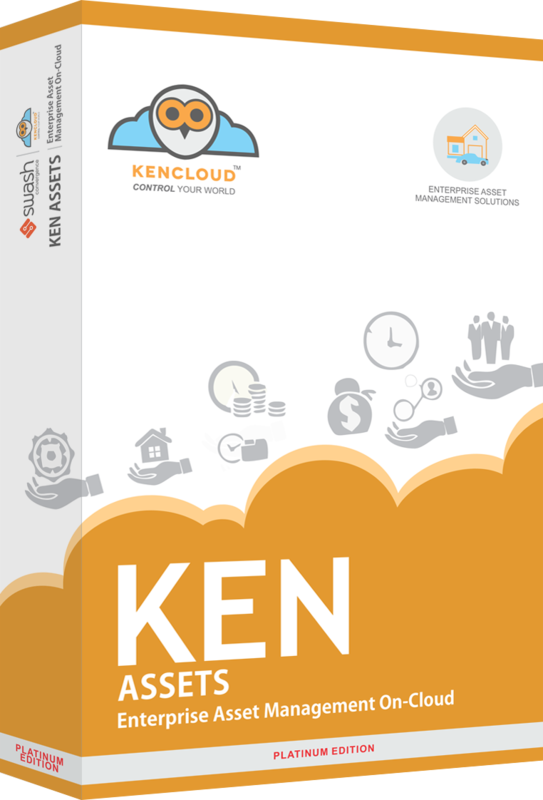 With an easy but most advance user interface, KENAsset™ helps to track all the inventory details of any organization by its safe cloud based virtual infrastructure. It records all the lifecycle activity of organization assets to handle the workflow conveniently. KENAsset™ management offers a brighter insight into assets that are scheduled to be maintained or returned back and can help managers to plan a better list of inventory that the organization needs most. It’s a full lifecycle business asset management software which leads to accurate inventory control, less wasted resources and zero compliance issues or service delays for enterprises. Maintenance: Scheduled preventive maintenance, and allocate assets where they'll do the best. Reliability/Risk management: Predict equipment reliability issues so you can keep them from happening. Inventory/Warranty: Reduce inventory and purchasing expenses, and gather on warranty-related cases. KENAsset™ is a complete pack of most accommodating and supportive inventory management tools, especially designed to facilitate enterprises to save time and increase productivity by successfully reducing product wastage and cost. Its work modules helps business enterprises to manage their asset department more effectively by detracting unnecessary expenses and risks. Other Customized Modules as Per Client Requirements. KENAsset™ enables managers to proactively plan and manage the costs associated with organization assets and its services. With better visibility and control over assets and their entire lifecycle – from the order day to their disposal, managers can maximize the use of assets and bring down asset costs to a beneficial level, which ensures to get the full value from the investment. KENCloud asset management can save organizations money in by identifying unproductivity and improving more aggressive strategies, and by lessening hardware costs. It also lets you do better communication across multiple facilities, and offers extra clarity into business operations. As small amount of time is given conveying messages across teams, organizations can also boost productivity and reduce additional costs. It is Easy to use, takes no time to implement. KENAsset reduces the risks of inaccurate calculations. Maximize the use of both new and existing assets. Increase the buying power of organization by reducing loss and damage of assets. Maintain a clear view to all the assets with easy classification, reporting and other aspects. Take a better control of your storage facility with faultless input and output data. Reduce the purchase cost of organization by increasing the lifecycle of assets. Get on-time alerts on key events related to assets such as maintenance day, storage capacity and lifetime or disposal of inventories. Maximize the security of business inventories by preventing unauthorized uses. Centralize the asset management process that requires less time and staffing. Easily monitor the inventory requirements and stocks anytime, anyplace with a simple and user-friendly interface. Minimize product wastage to prevent extra and unnecessary cost.